Happy Thanksgiving to everyone, I hope your day is filled with family, food and fun. I won't keep you long today as I know you'll be creating wonderful memories with your loved ones. Before I explain how I created my Thanksgiving Card above, I wanted to share one of my favorite Thanksgiving Day poems. 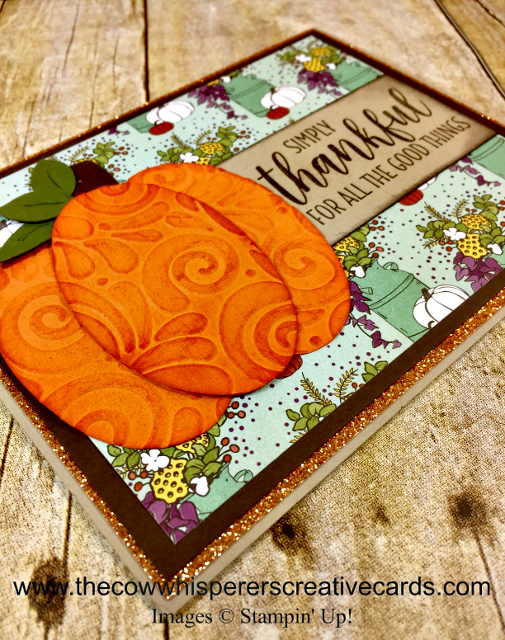 Today's creation started out with embossing Pumpkin Pie Cardstock using the Swirls and Curls Embossing Folder and then cutting 3 Ovals from the Layering Ovals Dies (5th from the largest). I then sponged them lightly with Pumpkin Pie Ink. 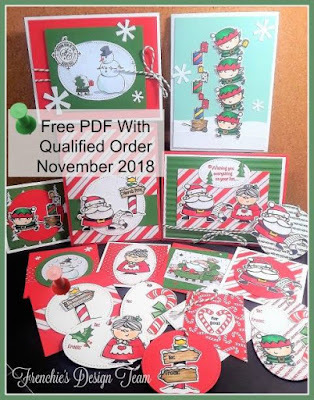 I used the Leaf Punch on Mossy Meadow Cardstock for my pumpkin leaves and my Duet Banner Punch on Early Espresso Cardstock and trimmed it a bit for my pumpkin stem. The gorgeous sentiment comes from the Country Home Stamp Set and I chose the Country Lane Designer Series Paper and the Joyous Noel Copper Glimmer Paper to pull it all together. I hope you have a WONDERFUL & BLESSED THANKSGIVING!!! Card Base - Crumb Cake - 8 1/2" x 5 1/2" scored at 4 1/4"
First Layer - Joyous Noel Copper Glimmer Paper - 5 3/8" x 4 1/8"
Second Layer - Early Espresso - 5 1/4" x 4"
Third Layer - Country Lane Designer Series Paper - 5" x 3 3/4"
Scrap - Pumpkin Pie - 5" x 8"
Sentiment Strip - Crumb Cake - 1 1/2" x 3 1/2"